In Applebaum v. Target Corp, plaintiff was injured while riding a bicycle she purchased at defendant’s big box retail store. She claimed the reason she was injured was because of a defective brake on the bike that was resold to her after another customer had returned the item. 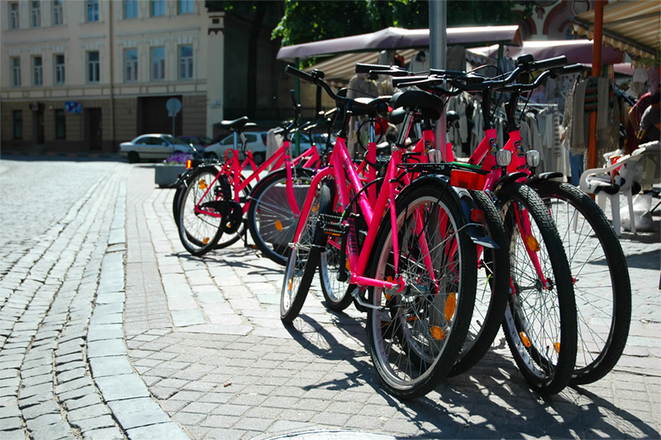 She claims the bike was returned to the store because of the defective brake, negligently repaired, and then resold to her, thus causing her to suffer a personal injury. According to court records from the U.S. Court of Appeals for the Sixth Circuit, this case deals with the issue of whether plaintiff was injured while riding her bicycle due to a defective bicycle or due to operator error. As for the facts of this case, she was in the defendant’s big box store when she noticed a purple mountain bike and was instantly reminded of the bike she had as a child. She left the store without buying it, but went to another of defendant’s retail locations a few days later and bought the same make and model bicycle. She decided to try out the bike with another friend on a Fourth of July ride, and, after a few minutes of riding, she fell off the bike as she was coming to the bottom of a large hill and injured her shoulder. 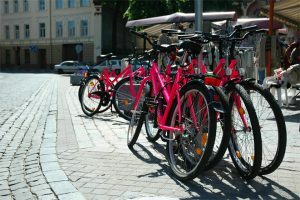 She filed a lawsuit against the retailer, claiming the bike was a defective product in that there was something wrong with the brakes. As our Boston product liability attorneys can explain, when a product is made by a company and then sent off to a distributor who then delivers the product to a store, the prospective plaintiff generally has a right to file a lawsuit against the store. She does not have worry about the distributor, manufacturer, shipping company, or anyone else in the stream of commerce. The reason is because the law presumes that the retailer is in a better position to implead the others further down the line into the suit or otherwise seek indemnification. In the context of products liability law, scholars will often refer to this as suing upstream in terms of the stream of context. The burden should not be on the injured plaintiff to have to sue everyone involved. However, this does not mean that he or she may not want to, if it will increase the chance of a full and appropriate financial recovery. In this case, defendant claimed the bike was not defective and it was the operator (plaintiff) who was responsible for the personal injury. Her specific claim was the bike was returned to the store because of a brake problem and to be repaired. She then claims it was sold after a negligent repair. The store denied this, and a three-day trial was held. Following the trial, the jury returned a verdict in favor of the defendant, as they believed she did not prove it was a defective product. She appealed, and the court, finding no error, affirmed the trial court’s jury verdict.